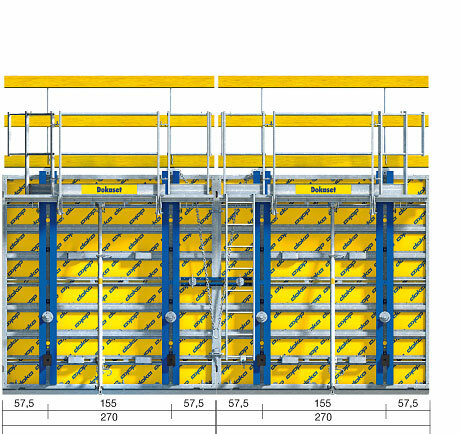 Dokaset is a fast, cost-sav­ing wall formwork sys­tem for the build­ing con­struc­tion seg­ment. All op­er­a­tions such as at­tach­ing the lift­ing chain and plac­ing the form-ties can be car­ried out very quick­ly and eas­i­ly from ground lev­el. 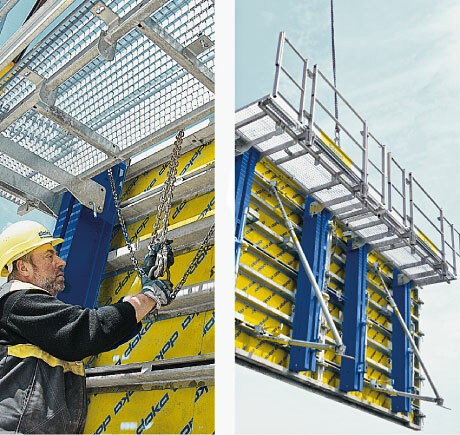 Ful­ly pre-mount­ed work­ing plat­forms, the Xlife formwork sheet and wide tie spac­ing are among the prac­ti­cal fea­tures that set this all-in-one sys­tem apart. 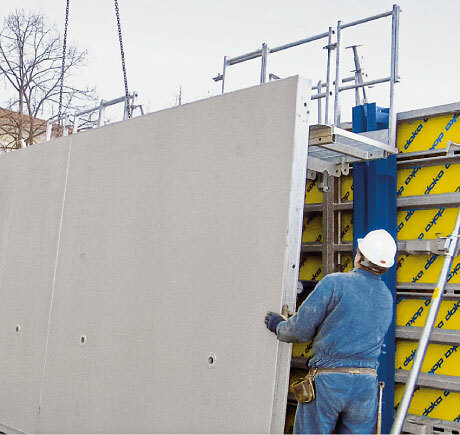 Pressure ties at the top edge automatically keep the formwork-halves the right distance apart. These form-ties do not need to be operated. The tension ties can be operated from one side of the formwork, which is ergonomically convenient and saves a lot of time. The access route to the working platform is safeguarded thoroughly and well. An integrable ladder enables the crew to climb up and down quickly and safely. 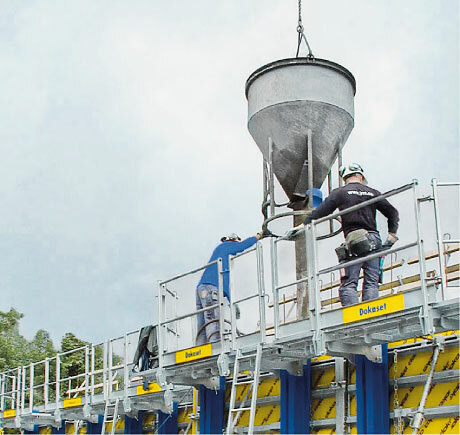 With its rear and side guard rails, the working platform provides all-round protection during pouring. Wide spacing between the form-ties means fewer form-tie points. 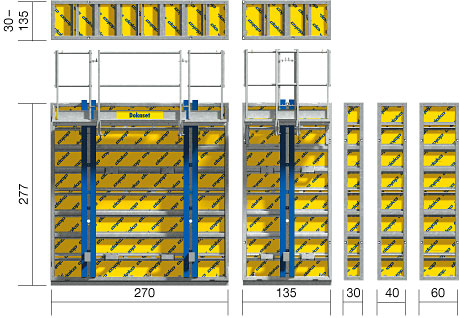 This saves on equipment, labour and costs, making for a high degree of cost-efficiency. 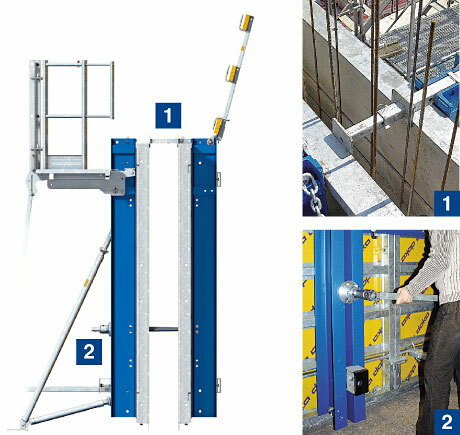 The lifting chain can be reached from ground level – for great workplace safety. Thank you for your interest - Dokaset. Thank you very much for your interest - Dokaset.